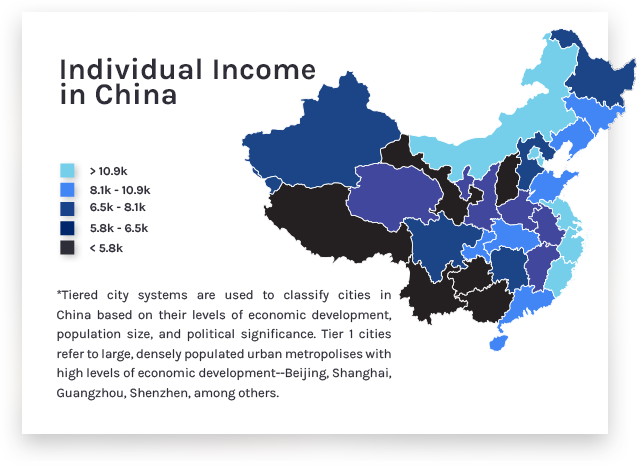 As Chinese consumers become wealthier, they’re demanding higher quality products, among them better—often imported—alcoholic beverages.China is the largest market for alcoholic beverages in the world, and foreign alcohol is seeing significant growth. Sales of imported alcoholic beverages are still concentrated on the coast and large urban areas, but demand in the less developed interior is rising, offering great potential for established businesses and new entrants alike. In 2016, China experienced 15% and 16% year-on-year growth in wine imports by volume and value, respectively. Per capita wine consumption is also expected to increase. Still wine is the most popular and fastest-growing product category, with nearly 55.5 billion USD in sales last year. 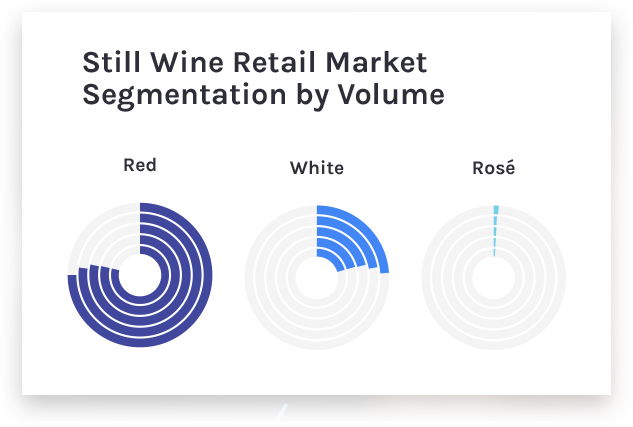 Among still wines, red wine is the best performer, representing 75% of the total volume.Imported spirits saw robust growth both in volume and value, especially among younger consumers. The leading type of imported spirit in China is brandy, with 76% of the total value of spirits imported and 44.4% year-on-year growth in 2016. The Chinese beer market is dominated by low-end mass market brews—primarily pale lagers. However, this segment of the market is dominated by major domestic brands and is quickly saturating. 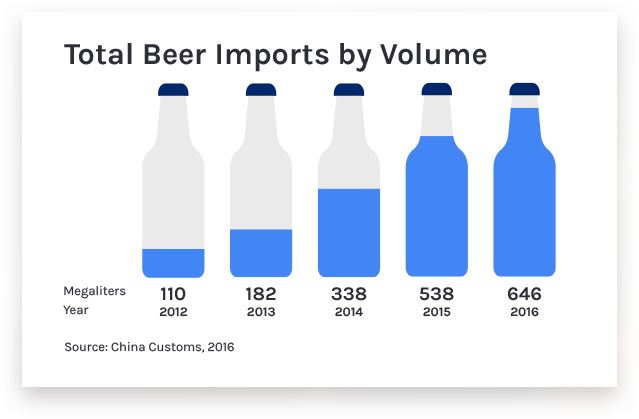 Although high-end imported and craft beers are becoming increasingly popular, showing rapid growth in both sales volume and value over the past five years, they remain a relatively small portion of beer sales in China overall. To succeed in China’s alcoholic beverage market, businesses should:1) determine how to feasibly sell in China, 2) localize their brand and product(s) as needed, 3) deploy an effective marketing strategy, 4) find reliable distributors and establish diversified sales channels, and 5) find a professional local partner help navigate common challenges and carry out necessary due diligence and preparation in order to reduce costs and maximize long-term returns. The experience of St. George Distillery–a producer of spirits–demonstrates the value of investing in determining feasibility and testing the market. Pillitteri Estates Winery’s success in China shows the return firms can enjoy when they accurately assess the market and consumer preferences, properly localize and market their brand and products, and employ the time and due diligence necessary to develop strong relationships with suitable local partners who can help them establish reliable sales channels. China is the largest market for alcoholic beverages in the world. Although dominated by domestic companies, consumption of foreign beer, wine, and spirits is growing, driven by rapid urbanization, increasing disposable incomes, and changing lifestyles; the expanding nightlife culture in cities, an increasing number of Chinese consumers purchasing alcohol for themselves instead of gifts to others, and greater willingness to try new varieties of alcohol. As of 2016, sales of imported alcoholic beverages were still primarily concentrated in tier-1 and tier-2 cities*, according to Euromonitor. Additionally, rising income levels and improvements in distribution networks and infrastructure for such beverages has made access to these in lowertier cities easier, driving up demand for imported alcoholic beverages. The Chinese wine market was worth an estimated 38.3 billion USD in 2015 and is expected to reach 69.3 billion USD by 2019. 638 million liters of wine were imported into China in 2016, with year-on-year growth of 15% in volume and 16% in value. The growth of the Chinese wine market can be attributed to growing popularity of wine among the younger generation and rising disposable income. Per capita wine consumption in China in 2016 reached 1.8 liters and is expected to increase dramatically in the coming years. Still wine is by far the most popular category of wine among consumers in China, reaching sales value of 55,427.6 million USD in 2016. This category is expected to continue leading growth in wine consumption, with a compound annual growth rate (CAGR) of 8.8% from 2016 to 2021. Red wine is the most popular variety among still wines, representing about 75% of the total volume of still wines sold in China. As the market evolves, Chinese tastes will mature. White wine is anticipated to attract more consumers, especially as the number of consumers who purchase wine for personal consumption—rather than gift giving–increases. China is the largest consumer of spirits in the world. Spirits consumption in China is expected to grow at a CAGR of 3% in terms of total volume, reaching 6.7 billion liters in 2021. However, growth between 2014 and 2021 will be slower compared to the previous period–2009 to 2013–where the total volume increased by 49%. This is due to changing drinking habits; Chinese consumers are drinking less in volume and trading up to better-quality spirits. Baijiu, the domestic spirit, still dominates the spirits market with a 98% share of total volume in 2016, according to Euromonitor. Growth in consumption of Baijiu has slowed in recent years for two reasons: 1) the Chinese government’s anti-corruption campaign, which mainly affected the high-end baijiu market because such types of alcohol were often purchased as gifts (and a form of graft) and 2) growing health concerns and rising income levels; those who used to purchase lower-end baijiu are shifting to higher-quality beverages with lower alcohol content. On the other hand, imported liquors saw robust growth both in terms of volume and value. Younger Chinese are not as enthusiastic about baijiu as their older counterparts. Instead, they view imported liquors as better substitutes, associating them with a more outward-looking, mod ern lifestyle. Among all imported spirits, brandy, led by Cognac, represented 76% of the total value of spirits imported in 2016. Additionally, it registered the highest growth rate of 44.4% in 2016, making it by far the strongest performing category of imported spirits. Domestic Chinese breweries collectively have a controlling share of the beer market. China Resources leads the way with a market share of 24.6%, among 98 beer breweries in China. It’s Snow beer, the world’s best-selling beer, is a pale lager which does not have a strong taste, but the price is very affordable relative to local incomes—particularly in less wealthy regions of the country–and accessible nationally. Similar low-end lager beers dominate the overall national beer market, with about 80% the total. This has resulted in the low-end segment of the market becoming saturated. On the other hand, the younger and wealthier consumers living in urban areas are demanding better-flavored, higher-quality, premium beers. High-end imported beer and craft beer are becoming increasingly popular, showing rapid growth in both sales volume and value over the past five years. St. George Spirits is a California-based craft distillery. The firm produces a broad range of spirits, including: gins, vodkas, whiskies, brandies, and several liqueurs. Over the course of its 35-year history, St. George has earned multiple awards for flavor and quality in both the United States and Britain, and coverage in major publications—including the New York Times and Wine & Spirits Magazine, among others. With so many years of experience, positive public coverage, and awards under their belt, St. George began exploring whether to sell in the Chinese market, primarily their gins. First, they conducted a feasibility study—assessing pricing, demand, competition, and the overall market environment—and executed a modest soft launch of some of their products in China. Based on the outcome of the soft launch and feasibility study, St. George determined that, although demand for gin was growing and in the process of transitioning from low-end products, competition for high-quality gins (like theirs) was high. Additionally, consumer awareness was still low, which would require years of high investment in marketing. These factors convinced them that they would have difficulty selling high enough volume to justify the investment–at least for the first few years of operation in China. For these reasons, they ultimately decided not to enter the Chinese market, though may revisit it as consumption matures. By investing in early testing and feasibility study, St. George saved considerable time and money that would have been lost had they launched blindly into the market. Pillitteri Estates is based in Canada’s famous Niagara wine growing region. They produce a broad rangeof wines, including varieties of red, white, and ice. With decades in the business, they’ve earned numerous awards and have become a major exporting producer to markets one very major continent, including China. Pillitteri’s success in China is due to multiple factors. The first factor is timing. It began exploring the market when demand for wine in China was growing and competition was low, giving it an advantage as an early mover in an underdeveloped market. 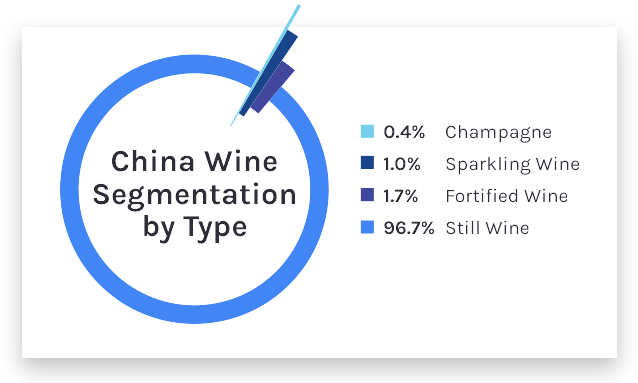 Second, they correctly assessed Chinese tastes; with many consumers in China preferring sweeter wines, Pillitteri adjusted its product mix, emphasizing ice wines, which are naturally sweeter. Third, they properly localized their branding, taking advantage of the uniqueness of the narrow bottles typical of ice wines, developing more ornate labels to further appeal to Chinese preferences, while also drawing on the unique characteristics of the winery’s history and place of origin. This mix proved a major success. Despite huge and growing demand for wine in China, most foreign wineries do poorly because they fail to understand the market, assess consumer demand and preferences, localize their branding and marketing, and work with suitable partners to establish reliable sales channels. Pillitteri not only produced a good product, but also did everything needed to adapt and thrive in China. With China’s large population, rising disposable incomes, increasing demand for alcoholic beverages and more preference for better quality, the market holds a natural attraction. This means competition from many entrants, making assessing feasibility all the more important, which includes several components. Finally, you need to know to what extent–if any–you should localize your brand or product to make it more readily understood and attractive to Chinese consumers and how that impacts the financial feasibility of entering the market. Even world-famous brands–such as Coca Cola–have adapted their brand for the local market and altered their product to local preferences. China’s alcoholic beverages market continues to enjoy strong year-on-year growth, with the high-end segment seeing particularly strong demand; younger and wealthier consumers are demanding better-quality premium brands because of the association with success, wealth, and modern lifestyles. Companies wishing to sell in China should: 1) determine how to feasibly sell in China, 2) localize their brand and product(s) as needed, 3) deploy an effective marketing strategy, 4) find reliable distributors and establish diversified sales channels, and 5) find a professional local partner help navigate common challenges and carry out necessary due diligence and preparation in order to reduce costs and maximize longterm returns. For wine, spirits, and beer educating consumers needs to be a key part of any effective marketing strategy. This should be combined with clever use of Chinese online platforms and social media, which are often the primary gateway for consumers to learn about products.